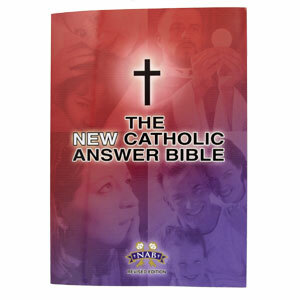 Newly Revised with the new translation this New Catholic Answer Bible is one of our best sellers. 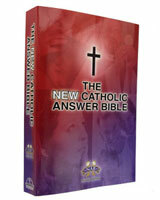 Clear and concise explanations of the Catholic Church’s teachings on critical issues are derived from Bible text and Catechism references; with double the supplemental content found in the original The Catholic Answer Bible. 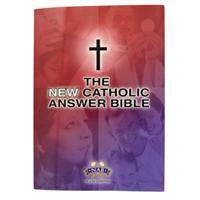 Features 88 of the most common questions Catholics are asked about their faith. New larger format with large print text. Ideal gift! A great RCIA or confirmation gift.